When your vehicle requires body repair after a collision or other accident, please fill out the form below and one of our repair specialists will contact you as soon as possible. You may also give us a call at (303)238-7391 or visit us at 1590 Dover Street, Lakewood, CO. 80215, and experience the Prestige Imports difference today! 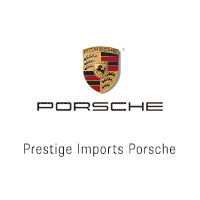 Prestige Imports Collision Center is the only Audi, Porsche, Mercedes-Benz, Bentley, Volkswagen, Honda, Acura, Land Rover, Jaguar, and Tesla Certified Repair Facility in the Rocky Mountain Region! We have spent over $500,000 in equipment and training to obtain these certifications. Prestige Imports Collision Center – Paintless Dent RepairWe have recently expanded our structural aluminum repair facility by adding 10,000 square feet of shop space and also expanded our lease reconditioning center. These expansions ensure faster and more efficient repairs on exotic vehicles that require special attention. All of our technicians are Audi, Porsche, Mercedes-Benz, Bentley, Volkswagen, Honda, Acura, Land Rover, Jaguar, and Tesla factory trained and certified. You can rest easy knowing that all collision repairs completed by our highly qualified team are backed by a Limited Lifetime Warranty.